Technically you could say the running stitch is the all-purpose hand-stitch in sewing. It is a straight stitch that can be used in hand-sewing, hand-basting, gathering, and embroidery. It can be used on straight or curved seams. The great thing about the stitch is that you can make it any length you want. 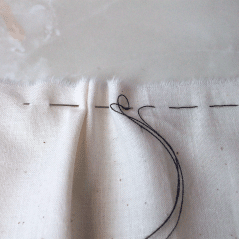 The running stitch is great for using in simple seams, hemming and simple alterations. In quilting the stitch is used to hold the batting in place. The stitch is also great for temporarily basting seams together before sewing. Basting the seams before sewing can help make it easier for beginners. The stitches are easy to remove after the sewing is completed. The stitch also comes in handy for making a temporary seam for fitting. Another good use for the running stitch is for lining crocheted bags. The stitch can be used to mimic the stitches of a sewing machine when sewing the lining to the crocheted bag. When used with thicker thread, the running stitch is great for embroidery and topstitching designs. To make the running stitch, simply pass the needle in and out of the fabric creating even stitches on the top and bottom. 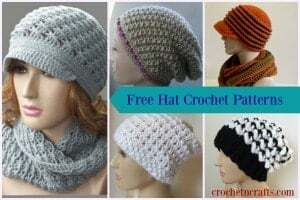 Generally the stitches on top will be twice the length or longer than the stitches on the bottom. However, you can also reverse that and have the longer stitches on the bottom. There is no rule on how long to make the stitches, but when using the stitch for basting you would naturally make the stitches longer for easy removal. When using it to hold a seam, hem, or other alterations, then you would make the stitches shorter for a strong seam.